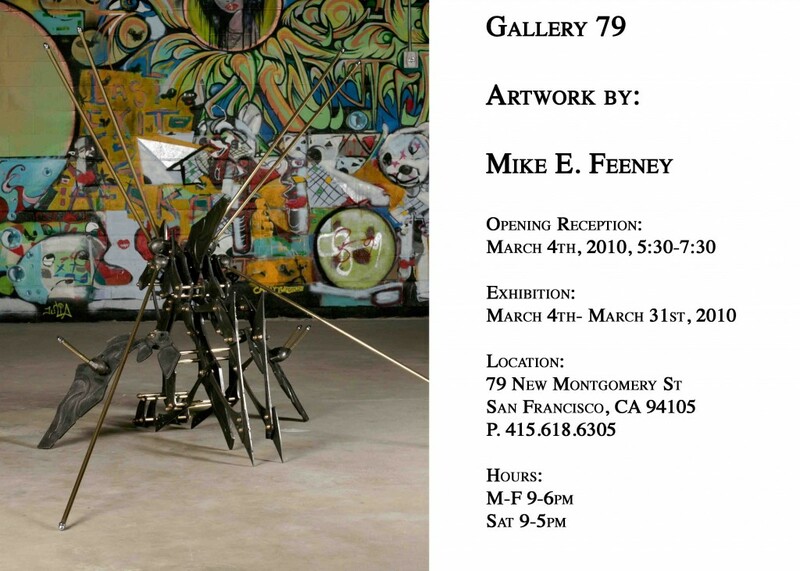 Mike Feeney, along with fellow MFA fine art and sculpture students Lindsey Eisentraut and Chanil Hong will be showcasing their sculptural works at the 79 Gallery starting March 4. Feeney’s pieces include individual units, which are assembled to create mechanical sculptures – but as you all may or may not know, he made a shoulder piece that was worn by Lady Gaga in her “Poker Face” video. It’s a far cry from Kermit the Frog dresses and crazy lace masks that cover your entire face – maybe even a little classier. I guess we can just call him Mike “Poker Face” Feeney. The opening reception takes place Thursday March 4 from 5:30 to 7:30 p.m. The 79 Gallery is located at 79 New Montgomery.